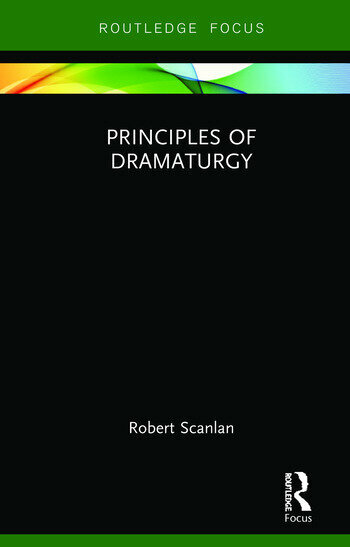 In Principles of Dramaturgy, Robert Scanlan explains the invariant principles behind the construction of stage and performance events of any style or modality. This book contains all that is essential for training a professional stage director and/or dramaturg, including the "plot-bead" technique for analysing play scripts developed by Scanlan. It details all the steps for the full implementation of "Production Dramaturgy" as it is practiced in professional theatres, and treats form and action as foundational cornerstones of all performance, rather than "story" elements – a frequent and debilitating misprision in theatre practice. Scanlan’s unique approach offers practical training that is supported by detailed diagrams and contextualised instructions, making this the missing text for classes in Dramaturgy. Serving stage directors, dramaturgs, actors, designers, and playwrights, Principles of Dramaturgy is a comprehensive guide that puts the training of capable practitioners above all else. Introduction – What is Dramaturgy? Robert Scanlan is a theatre director and Artistic Director of The Poets’ Theatre. He has been teaching at Harvard University since 1989, first as the Literary Director of the American Repertory Theatre, where he headed the Dramaturgy and Playwriting Programs of the Institute for Advanced Theatre Training at Harvard. He later became Professor of the Practice of Theatre in the Department of English and chaired Harvard’s Committee on Dramatics.